Bullying can cause devastating results that range from making children feel lonely, unhappy and frightened to causing them to commit suicide. It can make them feel unsafe and think there must be something wrong with them. Children can lose confidence and may not want to go to school anymore. It may even make them sick. Some people think bullying is just part of growing up and a way for young people to learn to stick up for themselves. But bullying can have long-term physical and psychological consequences. Children who learn they can get away with violence and aggression continue to do so in adulthood. They have a higher chance of getting involved in dating aggression, sexual harassment and criminal behaviour later in life. Stress and anxiety caused by bullying and harassment can make it more difficult for kids to learn. It can cause difficulty in concentration and decrease their ability to focus, which affects their ability to remember things they have learned. Bullying is painful and humiliating, and kids who are bullied feel embarrassed, battered and shamed. If the pain is not relieved, bullying can even lead to consideration of suicide or violent behaviour. The recent story of Amanda Todd, a 13 year old Vancouver girl who committed suicide in November 2012 after being bullied, brought international attention to the problem . Before she died, Amanda's posted a video on You Tube in which she used a series of flash cards to tell of her experiences of being blackmailed, bullied and physically asssaulted. The video went viral after her death, and resulted in an international discussion about the issue and potential laws to deal with it. In response to the death, the premier of British Columbia made an online statement of condolence suggesting a national discussion on criminalizing cyberbullying. "The statistics show a student is bullied every seven minutes in the U.S.A., and that most of the time, bullying occurs on playgrounds. 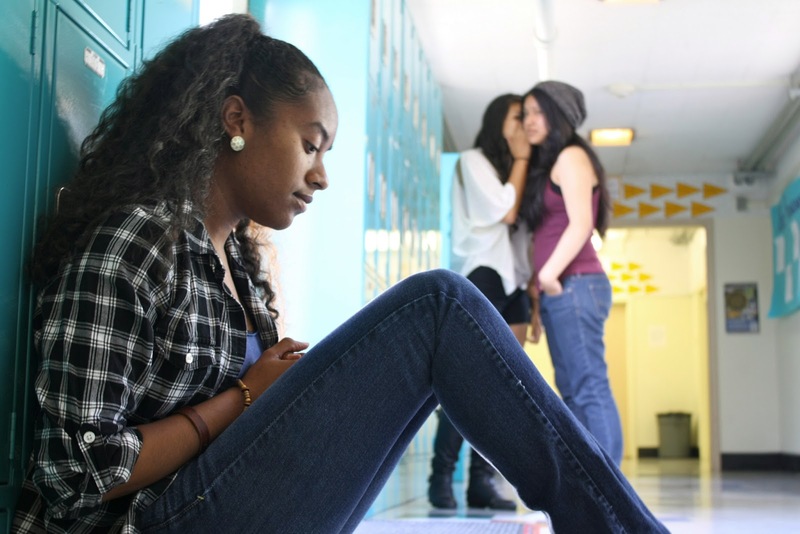 77% of students are bullied and cyber-bullying is rapidly approaching this percentage as well."